Medallion depicting profile relief of President Abraham Lincoln. 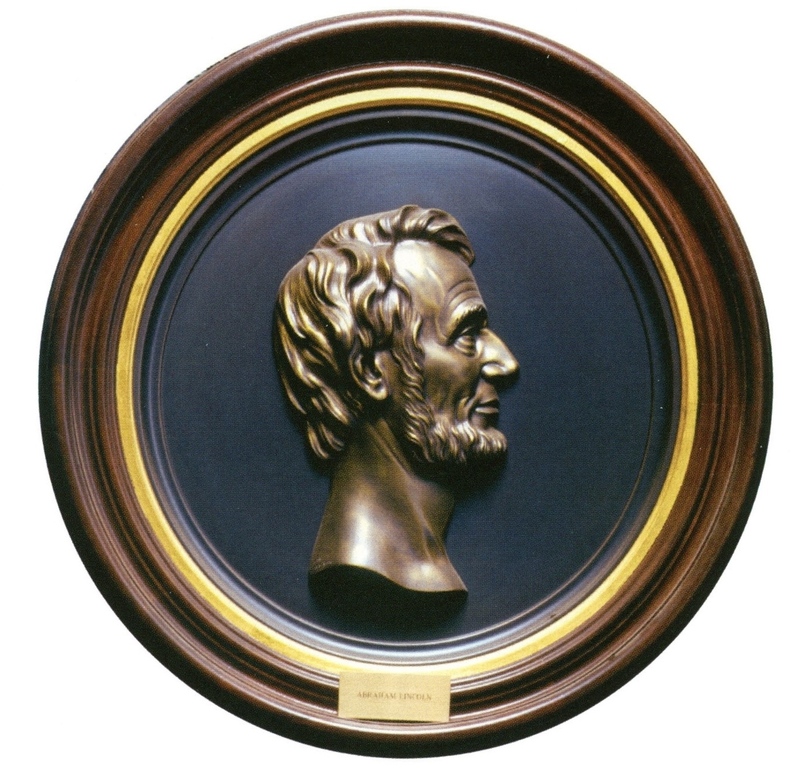 In 1865, William Miller, the owner of the William H. Miller & Sons foundry in Providence, Rhode Island, commissioned sculptor Franklin Simmons to create a series of thirty-one medallions that included President Lincoln, his cabinet members, and Union generals and admirals. The medallions were displayed throughout northern cities. This medallion was restored to its original 1865 appearance.